Description Photo is from Smoke Family collection and were donated to OHC by Claire Calcagno. 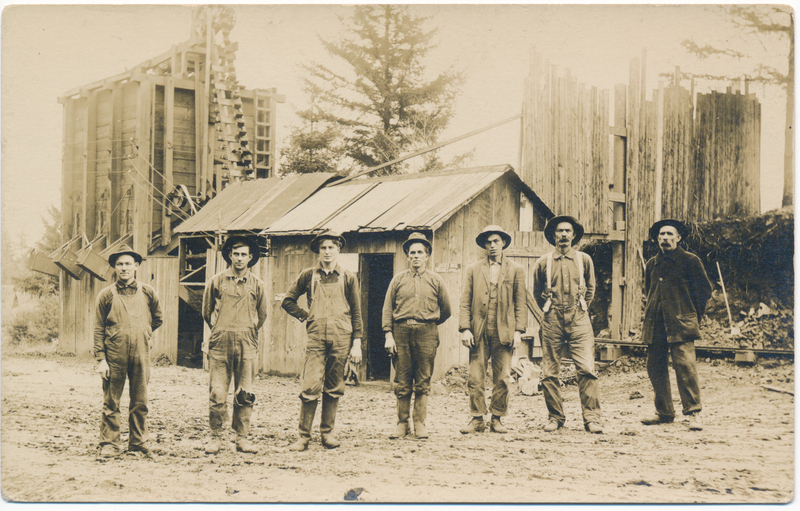 The picture is of workers from the Goodin Quarry on Iron Mountain Boulevard. Albert Smoke (2nd from right) and Lou Smoke (3rd from right) are pictured.